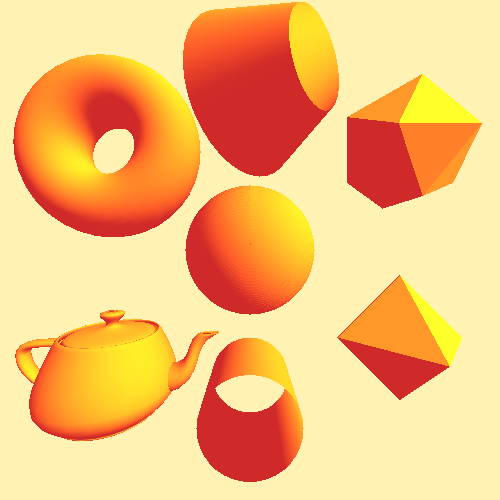 You might like to make use of some of the 3D shapes available in the OpenGL units. These solid shapes need lighting to display them effectively. (Wire frame versions are available also). This what-when-how OpenGL page (with examples in C) was most useful for getting started with lighting. The GLUT unit is deprecated but it still works. The example should work if you put the 32-bit glut32.dll (available for download here) in the program folder. The code follows the captured image of the output.